This Rasfox® High-End adapter will converts Composite signal (from yellow, red, white cables) to HDMI signal for an HDTV / monitor, with audio support. It has a dedicated processing unit built-in to convert audio/video with the highest quality, which no cheap conversion cables can match up with. This converter will convert AV/RCA/Composite ( in ) to HDMI (out) , Since it converts only in this direction, please make sure this is the correct converter your requirement before you buy. 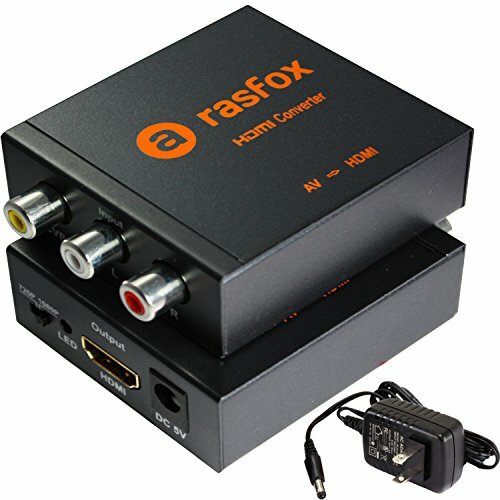 If you need HDMI (in) to AV (out) Converter, please search Amazon for "Rasfox HDMI" and select the correct item. If you have any questions about this product by Rasfox, contact us by completing and submitting the form below. If you are looking for a specif part number, please include it with your message.